This was the star of our Christmas Brunch last year. Not only is it delicious, but what makes it even better, is that everything is prepared the night before! So, that morning all I had to do was pop it into the oven. When we lived in Kentucky my boss would made this wonderful casserole for work events. It was the first time I had found I liked a casserole like this, and I didn’t just like it, I loved it. (AKA I ate a lot, I was also pregnant at the time, so you can imagine.) I always looked forward to her making this and even asked for it on my birthday. So, eventually she gave me the recipe. I don’t know if it was because of the time in my life (being pregnant), but this will always be a special recipe in my collection. Brown sausage, crumble and drain well. Spray or grease a 9 in x 13 in casserole pan. Evenly spread the bottom of the pan with the bread cubes. Top bread with sausage and cheese. Combine eggs, milk and seasoning. Pour the mixture over the other ingredient in your casserole pan. Bake at 350 degrees for 30 minutes, or until the egg has set. 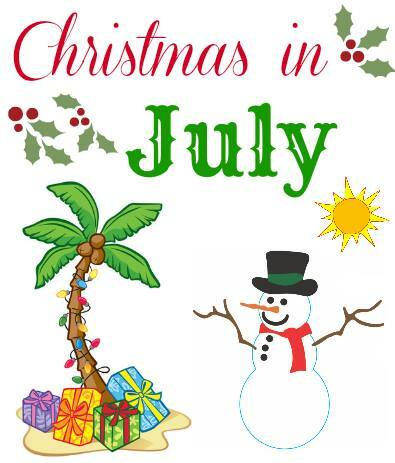 Be sure to stop back by for Our Christmas in July Link up tomorrow, and Friday I will have some brunch recipes from a few friends. 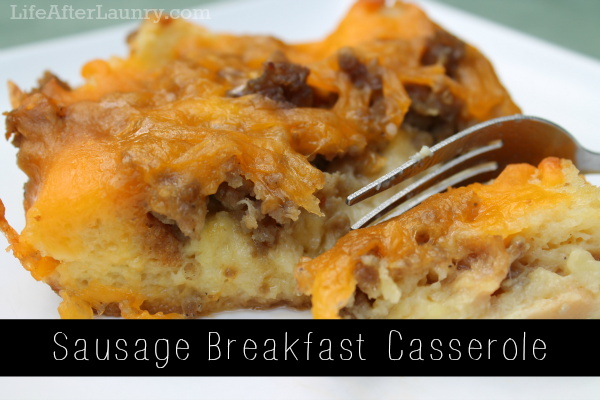 This looks like a hearty and delicious breakfast casserole that would be easy to prepare for guests because of how easy it is! I so want to make this, this weekend! Yummy! omg, Gustavo will love this!! Hi this breakfast looks so yummy. I saw it on kathe with an e.